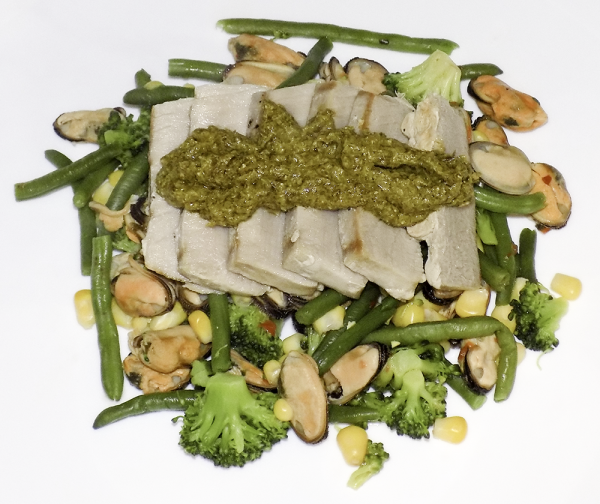 Low cost, easy to make dishes that are under 500 Calories and taste great. 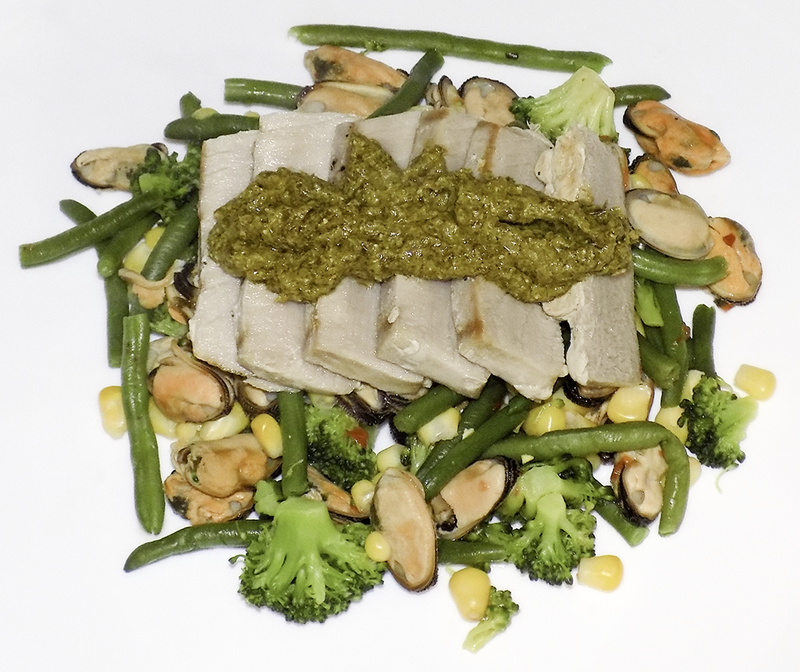 Tuna, Mussel & Pesto with Veg. 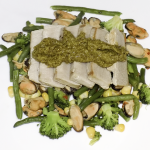 Super High Protein dish and it tastes AMAZING! Steamed the Veg & Mussels for 5-6 minutes. I never used steamer but just used colander in a large pot with an inch of water under neath and placed lid on top. Added Red Pepper & Chilli Dressing to the Veg for a better flavour. Finished with some chilled Pesto. Cajun Chicken, Rice & Veg.